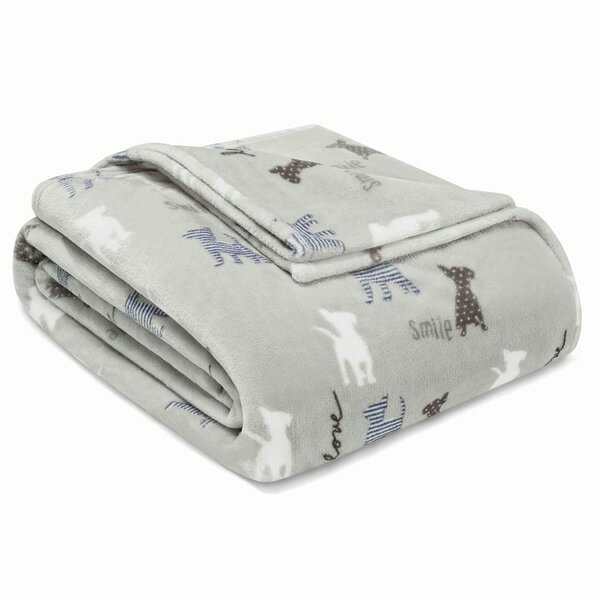 Add some fun to your room with the Augie and Friends Blanket by Ellen DeGeneres. This ultra soft plush fleece blanket features printed dogs and scattered uplifting words. Layer this blanket on your bed or keep warm on your living room couch. Blanket is machine washable for easy care.